First is Luke’s choice, which sees two EPs wrapped up into a single 12”, released by the awesome The Lost Music Club. On one side, you’ve got The Attika State’s Take It Easy On Those Corners, Baby, which is a beautiful slice of melodic rock, and on the other you’ve got My First Tooth’s Shipwreck Blues EP, another gorgeous record, this time mining the depths of the folk-rock-pop world and bursting out with a record that makes you wish you could sit on a porch and enjoy the world passing by. 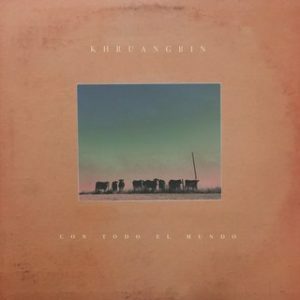 Next up is Ali’s choice: My pick for this month is the latest from Californians Khruangbin. Known for taking inspiration from sounds across the world, Con Todo El Mundo looks to the funk and psych sounds from South Asia and Middle East. 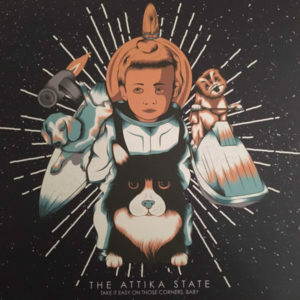 The groups name is a transliteration of the Thai word for ‘Airplane’ and this album, cutting together archive recordings with the bands signature guitar sound, is the perfect accompaniment to whatever you’re doing.